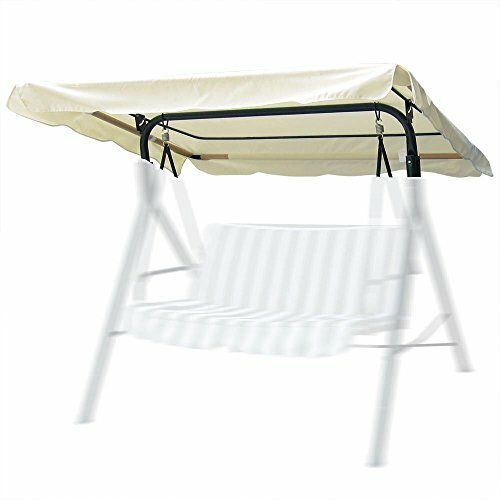 Flexzion Swing Canopy Cover - Deluxe Polyester Top Replacement UV Block Sun Shade Waterproof Decor for Outdoor Garden Patio Yard Park Porch Seat Furniture (75'' x 52'', Ivory) by Flexzion at List It Fort Lauderdale. MPN: SWG_CVR_75IN_BG. Hurry! Limited time offer. Offer valid only while supplies last.